We service everything we sell. We are your one stop shop for top brands in Stihl, Hustler, Gravely, Toro, and Cub Cadet. Our experts will help you design the backyard of your dreams. 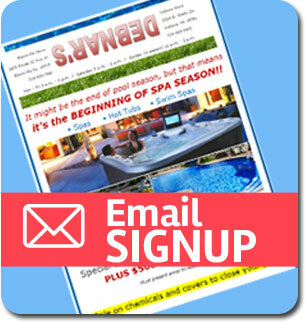 With our large selection of hot tubs, we are certain to find the perfect fit for you home. 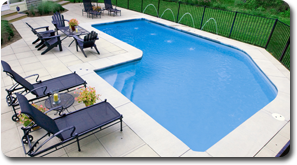 Top brands of in-ground and above ground swimming pools from Sun Fiberglass, Fox, Radiant, GLI, and Trevi. Custom installation is available so that you can build the backyard of your dreams. Certified Dealer of Stihl, Gravely, Cub Cadet and TORO premium outdoor power equipment. 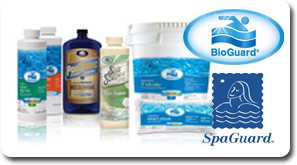 Premier dealer of BioGuard and SpaGuard chemicals. Relaxing is easy with a Hot Tub or Swim Spa from Nordic, Marquis or Strong. Top brands delivered straight to your home. Factory trained technicians are certified to service what we sell. Professional vinyl liner replacement, water testing and pool openings and closings. 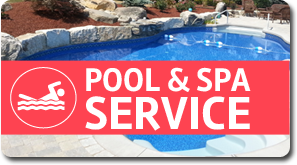 With two convenient locations to serve you, Debnar's Pools, Spas, Lawn and Garden is your premier outdoor specialist. We have been serving western Pennsylvania for over 30 years, making us the trusted source for your backyard recreation needs. Debnar's is a unique business that offers a variety of products & services. Lloyd and Linda Debnar started the company in 1981 based on the principle that pools & spas should be fun, not work. They have reapplied this principle to every area of their business. As specialists in inground and above ground pool installation, we give expert advice in our custom installation services. We help you evaluate your property and help you determine the best pool for your family. We have the areas largest selection of brands and pools to meet the needs of all our customers. The expansion of our business into our outdoor equipment department alows us to broaden our service and continue to deliver top products. 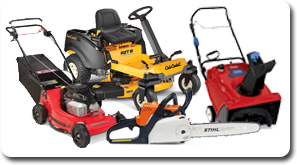 We have a full line of Stihl chainsaws and hedgers, Toro lawn equipment, Gravely mowers, and Cub Cadet lawn mowers. 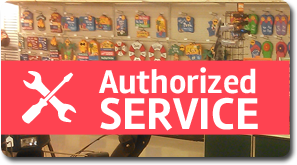 We are staffed with authorized technicians to assist you in picking out the perfect equipment for your needs. Our service and products do not compare to the box stores and offer better warranties and better service. Stop in to one of our locations today, and see why we are the best in the business. Sign up for exclusive savings and promotions.